One of the biggest iOS drawbacks (or blessings, depending on your view) compared to other mobile operating systems is that users cannot mess with the file system directly. 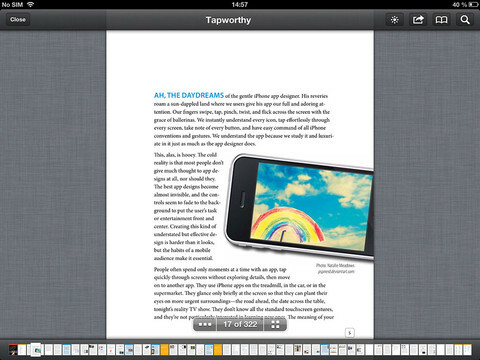 That Apple doesn’t provide an app to pull all your documents together in one place doesn’t help either. Enter Files, a new app German developer Sonico Mobile created with the very specific purpose of tackling this issue. You can import your stuff from third-party services like Dropbox, Google Drive and Box. Additionally, Files can pull documents from your computer, open attachments from email messages and download any file from a custom URL. 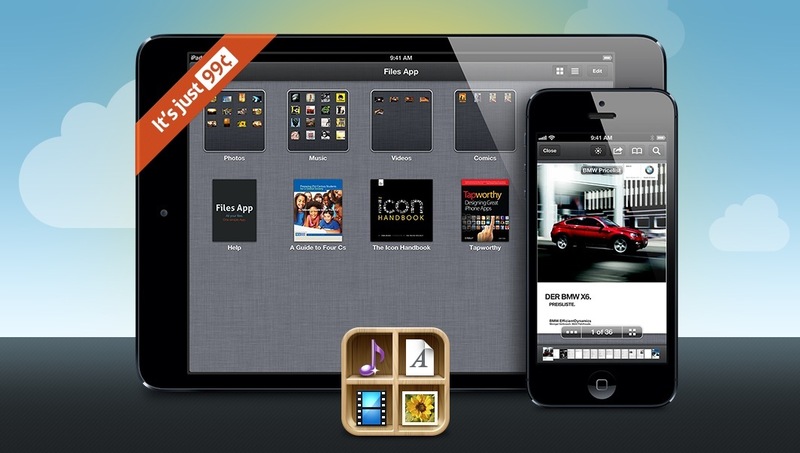 You can import files from popular cloud storage service. Once your documents are inside the app, you can rename items, organize them into folders and view supported file types via built-in viewers. These support the usual suspects – audio files, videos (including AVIs), photos, iWork and Microsoft Office documents – but also a bunch of source code filetypes (with syntax highlighting). All told, Files can work with more than 35 different file types. 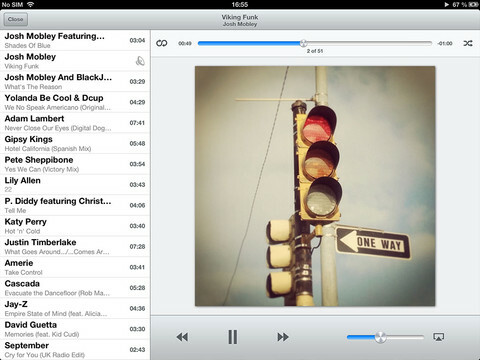 It also has a nicely designed built-in music player that does AirPlay. The software sports a beautiful user interface base on a nice file manager reminiscent of iWork apps, down to the line background and folders. It lets you explore your content in either list or thumbnail view. 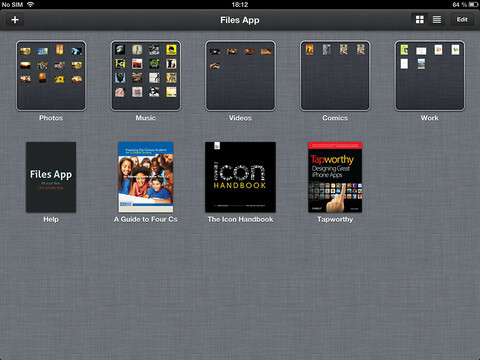 What’s interesting is that Files also allows you to nest sub-folders inside folders for better organization. 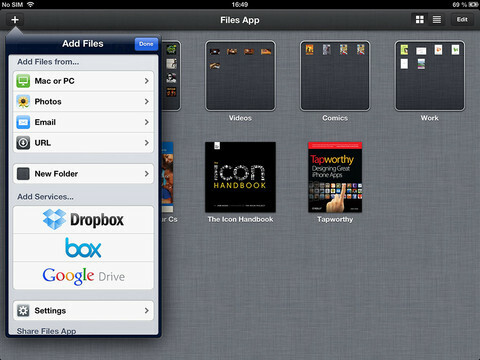 Managing your files is a lot like browsing iCloud documents in iWork apps. 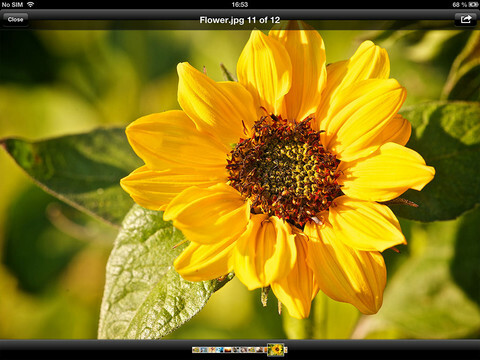 Files has a basic photo viewer. The app understands a bunch of document types. Files downloaded to your device can be shared with others or exported to cloud services or your computer. In addition to iTunes sharing, the program features a built-in web server so all you need to do in order to wirelessly transfer items between Files and your computer is navigate to a special web page on your Mac or Windows PC which mimics the Files interface, allowing you to import or export files with ease. Files can also open and create ZIP archives. For a 1.0 release, Files is an awesome release. It should prove indispensable to folks who keep a lot of files scattered around several devices and different cloud service. With the files app, you can cherry-pick the items you need and import them in one central location to organize, view, share and more. While plenty of alternatives exist, in my personal opinion Files is the best. It’s definitely an app Apple itself should have created in the first place.